Artificial Intelligence over the past couple of years has progressed at a rapid pace. Be it Robots like Pepper which possess the capability to understand human emotions or simple pieces of intelligent code such as Siri which can based on your past behaviour patterns assist you in your day to day tasks, artificial intelligence is slowly but surely taking center stage in our lives today. 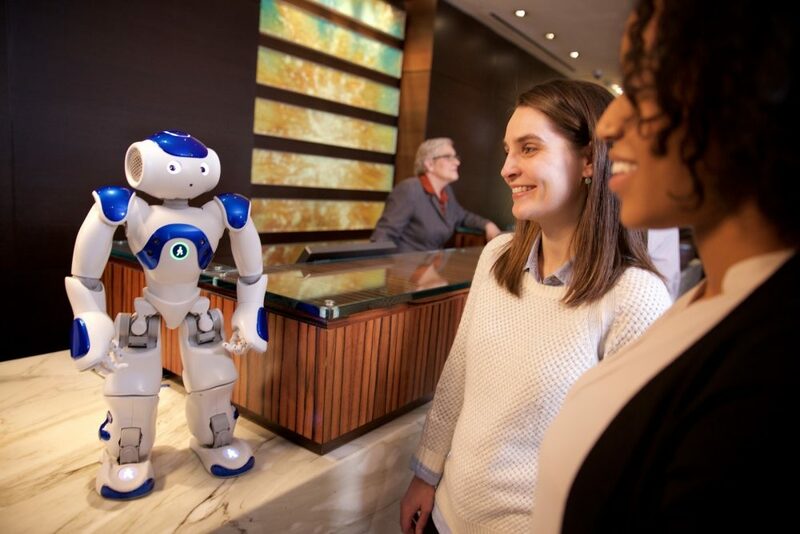 In a continuation of this trend, robots with artificial intelligence are now making way to hotels near you. Hilton, the famous hotel chain, has partnered with IBM to create a robotic concierge that it will fondly call “Connie” in memory of its founder, Conrad Hilton. Just in case you were wondering, Hilton’s friendly Robo Concierge, Connie, is not the first robot to to be employed by a hotel. Japanese hotel, the Hen-na in Nagasaki has a staff which is majorly manned by robots, speaking both Japanese and English.